An original Tiffany Studios Table Lamp comprising a 16-inch diameter shade, comprising leaded-glass geometric panel of richly mottled Tiffany glass in shades of yellow accented by deep amber and saturated orange. The shade is rests on an original bronze Art Nouveau Dish Table Base in deep brown patina. 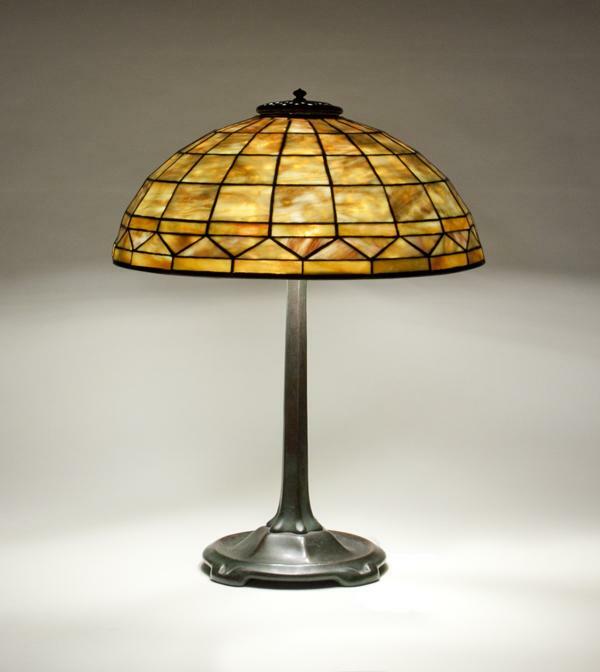 Both the shade and base of thus authentic Tiffany lamp are signed.